Today over at Everybody Art Challenge the theme is things with wings. 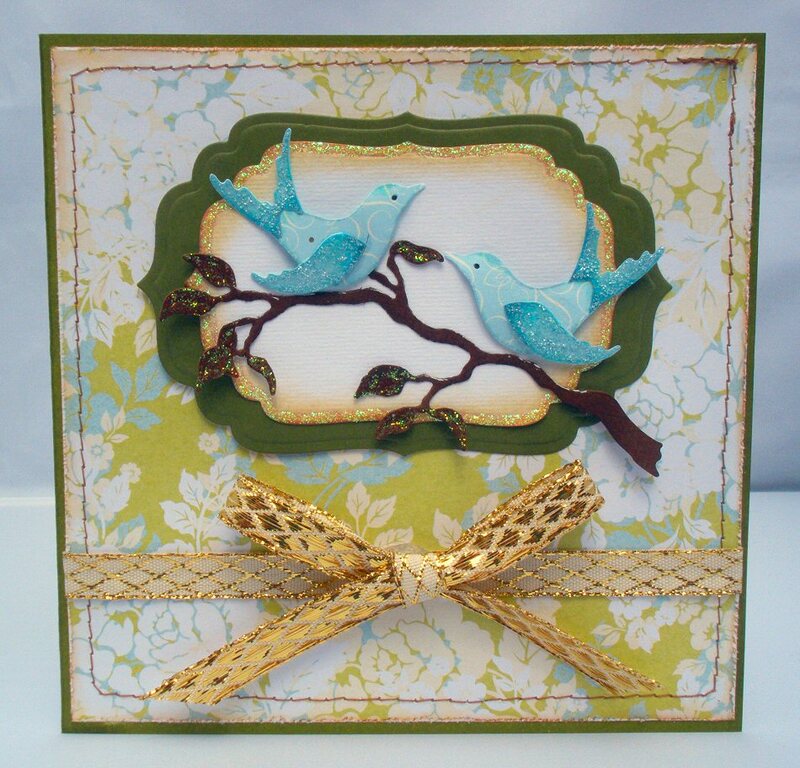 This week there is no colouring of digital stamps instead I have used the "Birds & Branches" Sizzlits Die and kept the card nice and simple. The backing paper is from the Papermania Rose Garden range, distressed with ink and scissors, layered onto green card and stitched (very rough) around the edge. I have added stickles glue to the birds wings, around the edge of the topper and on the branch leaves. Embellished with a ribbon bow. Have a great week and hope you can join in this weeks challenge.